Today we have Author JA Souders. 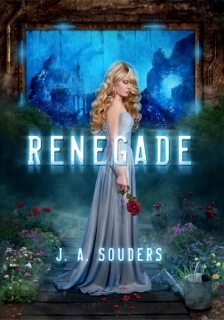 Her debut RENEGADE comes out with Tor on November 13, 2012 and it sounds just like the sort of twisty tale I love. So let’s dive in shall we? Since the age of three, sixteen-year-old Evelyn Winters has trained to be an Enforcer, an assassin in the underwater utopia known as Elysium. Selected from hundreds of children for her ideal genes as Daughter of the People, all her life she’s thought that everything was perfect; her world. Her people. The Law. What do you think draws people to "dark" stories? Wow, straight off to the hard questions. LOL. I think that this is one of those things that there isn’t just one answer; it’s probably a mixture of things. Maybe it’s because it appeals to our more animalistic side. Maybe it’s because we’re looking for something to relate to and our world is definitely not a happy fairytale with talking animals and happy ever afters (not that I don’t enjoy a good fairytale :P), or it could be that we’re looking for something that’s worse than we could possibly imagine that brings us to a mostly happy ending to make us feel better about our own situation and that there is something better to look forward to, no matter how bad a position we’re in. More than likely it’s a mixture of those and more and I could spend hours getting into it all. If RENEGADE had a theme song, what would it be and why? KEEP HOLDING ON by Avril Lavigne. It’s really perfect for the story because as the story progresses Evelyn learns that everything about her is a lie, and to her it feels like a kick in the head over and over. Just when she thinks she’s got her feet under her again, someone else pulls the rug out from under her again. What fictional character from another book would Evelyn Winters chose as her best friend and why? HUNGER GAMES would definitely be my top one, then 1984, BRAVE NEW WORLD, ACROSS THE UNIVERSE, ENDER’S GAME. (In no particular order). How does your novel stand out from other dystopian/post apocalyptic fiction out there? There's a lot that makes my novel different, but it would be spoiler-y to say. However, the biggest thing that makes it different than everything else is something I can say. It takes place in an underwater society. And no it's not about mermaids. LOL. But that would be freakin' awesome, too! Can't wait to read RENEGADE when it comes out -- J.A., you're awesome! I like the idea of the main character having all of her beliefs shift just as she has everything going for her. I think that would make for a great story. I also like that it's underwater. Very cool. I think that this is a book that I am going to want to check out! "Maybe it’s because it appeals to our more animalistic side." I hadn't thought of that before, great answer! Renegade sounds like one that I'll have to pick up; I love the idea of a dystopian novel set underwater, and the entirety of the description makes the book sound great. I already have this on my wishlist but man, I'm even more eagerly anticipating it now reading her responses. I think it's so true that one of the reasons that people are drawn to "dark" stories is because it makes the world we live in seem positively sparkly! 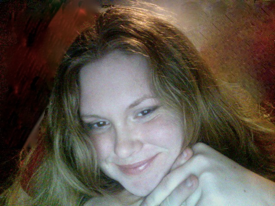 Thanks Lenore for interviewing me and everyone for commenting! It's exciting to be able to share RENEGADE with everyone. This book sounds so interesting. I like anything that has to do with mind control and fighting against it. I can't wait to read this one.